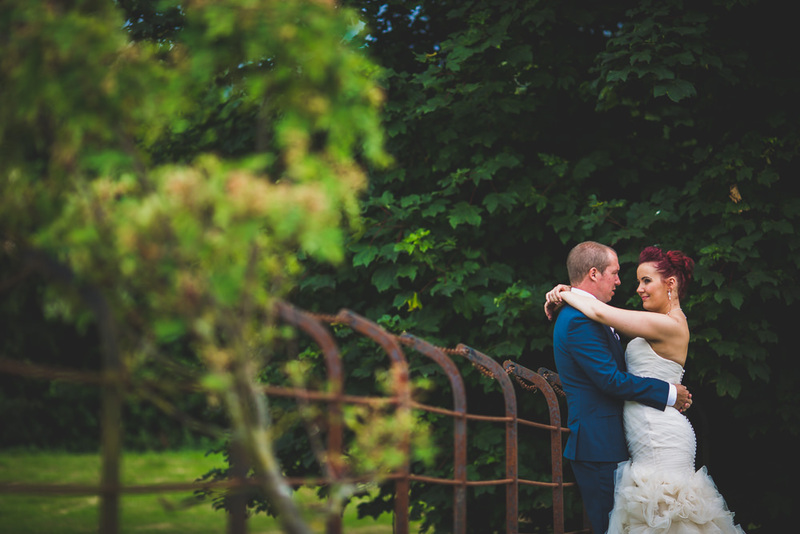 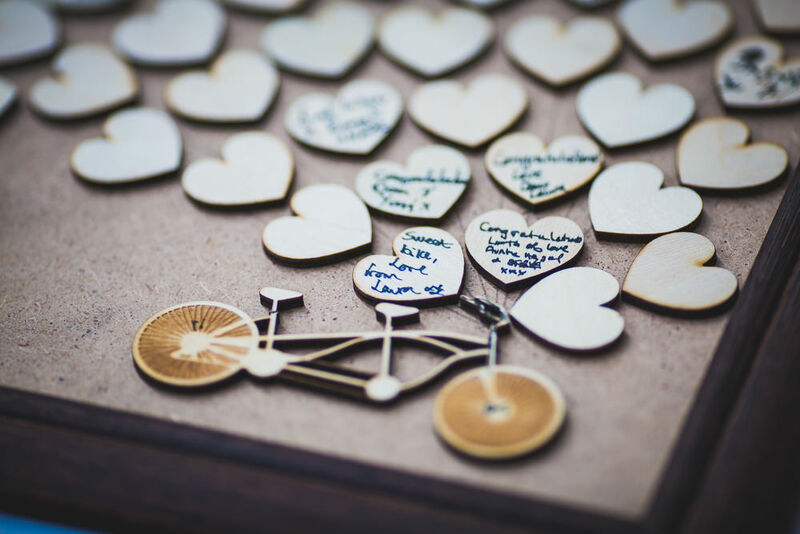 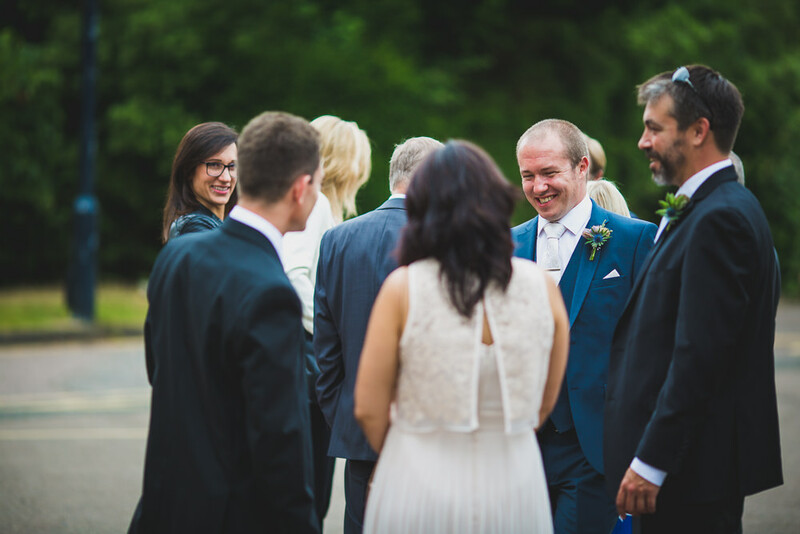 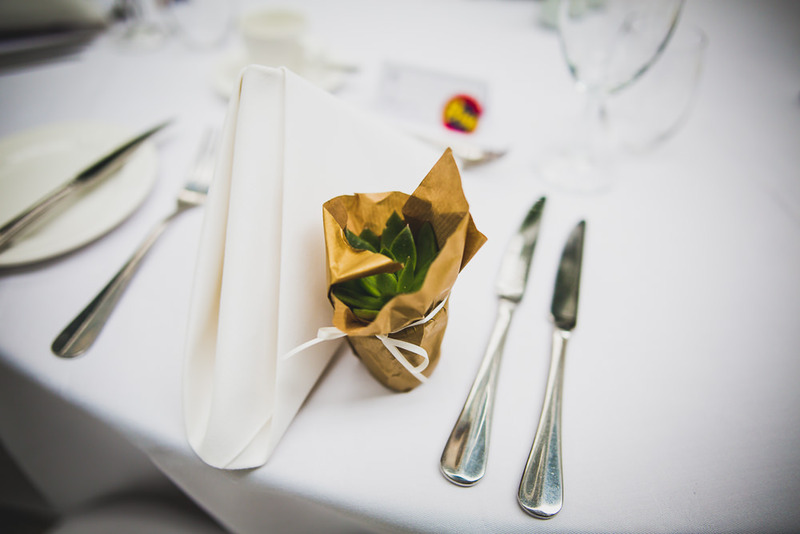 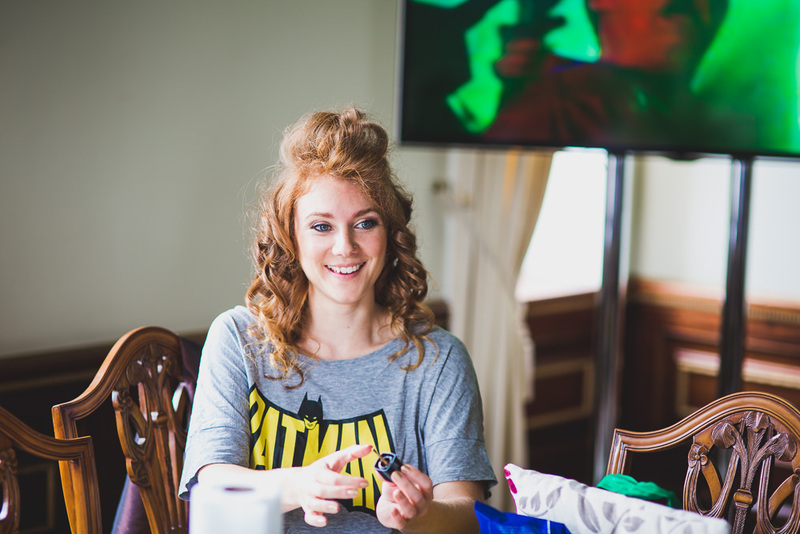 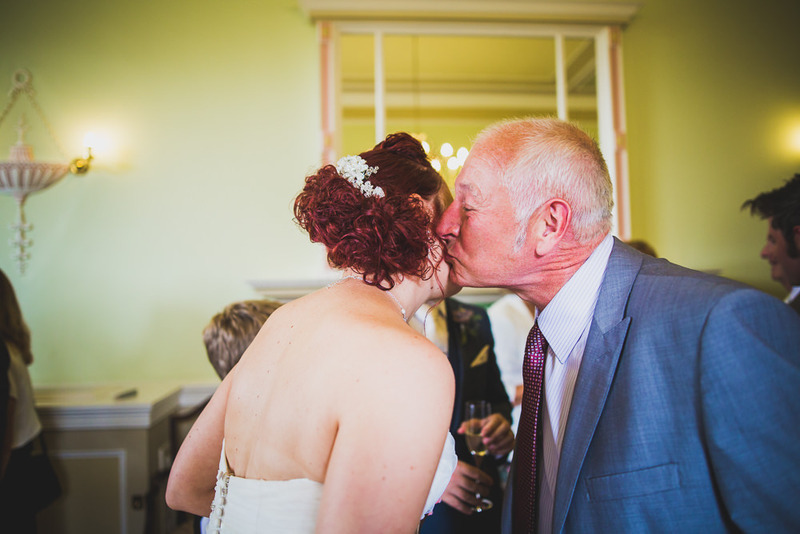 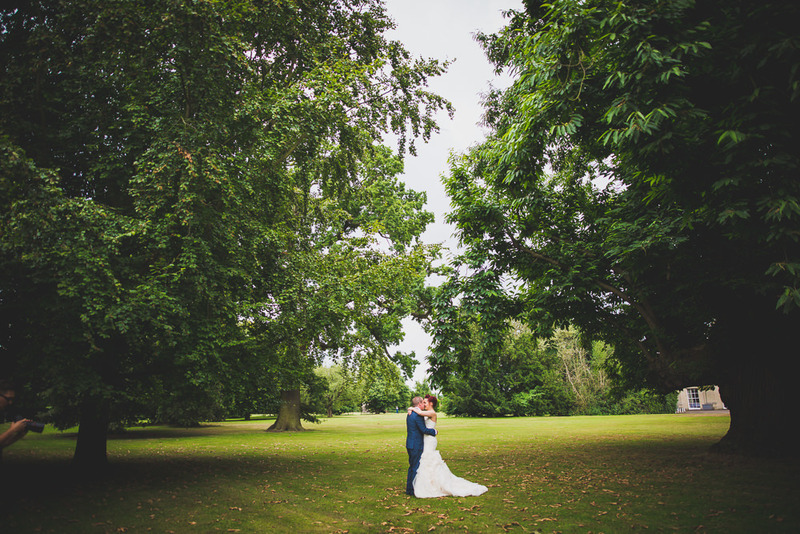 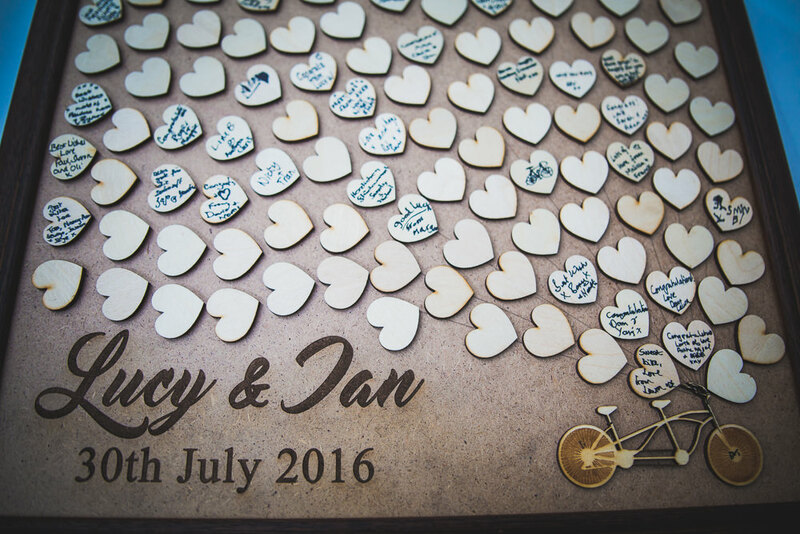 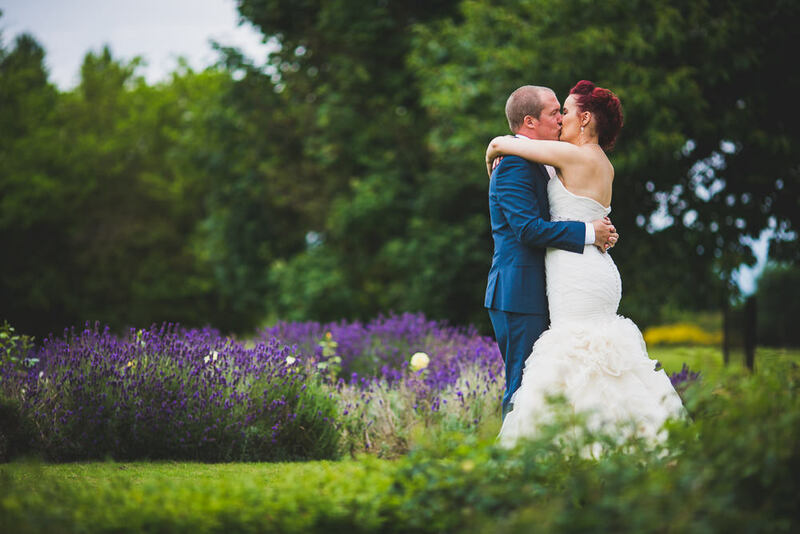 The Wherstead Park Wedding of Ian and Lucy was warm and colourful affair with plenty of unique personal touches from the couple, showing off their playful side as well as their evident love for all things Marvel and comics. 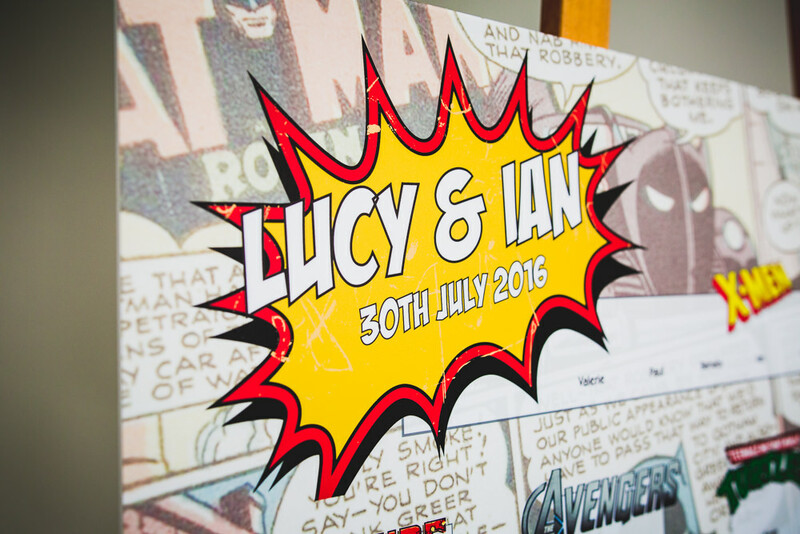 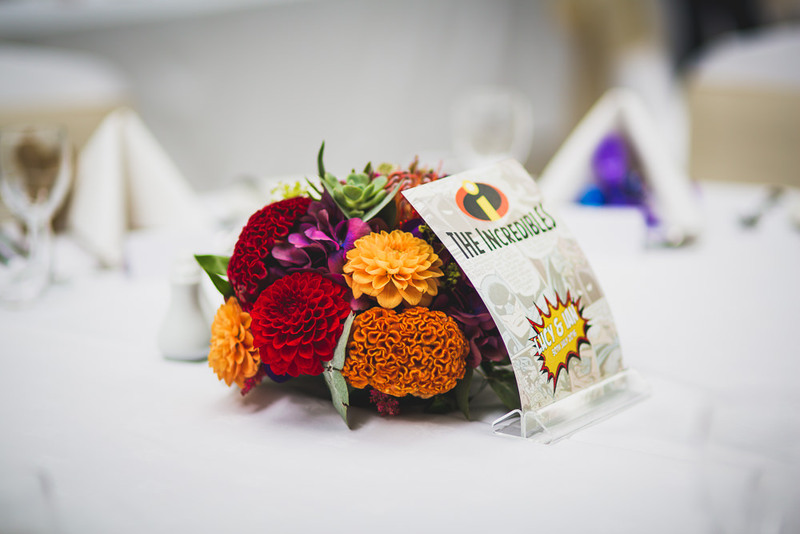 As a marvel fan myself I appreciated the table plan especially complete with Lichtenstein cartoon illustrations! 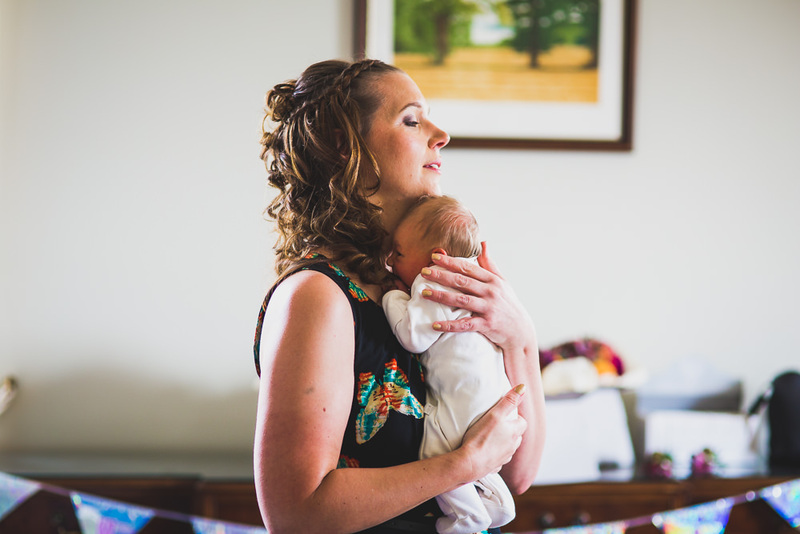 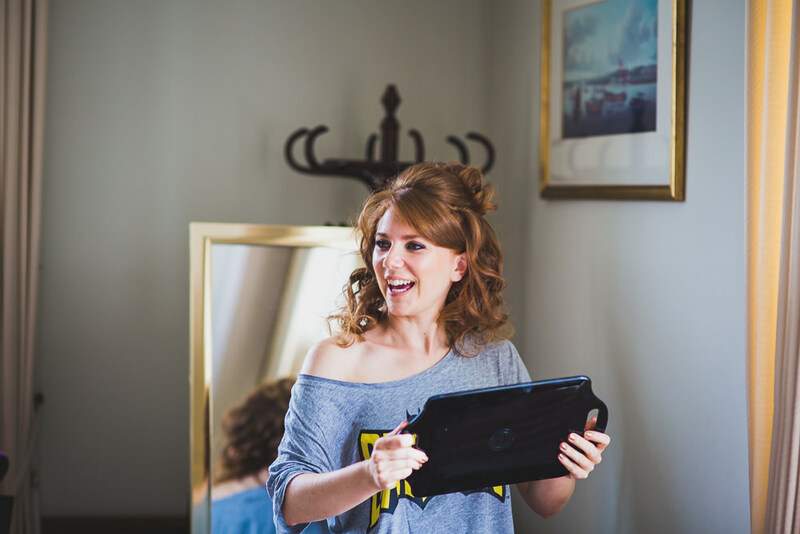 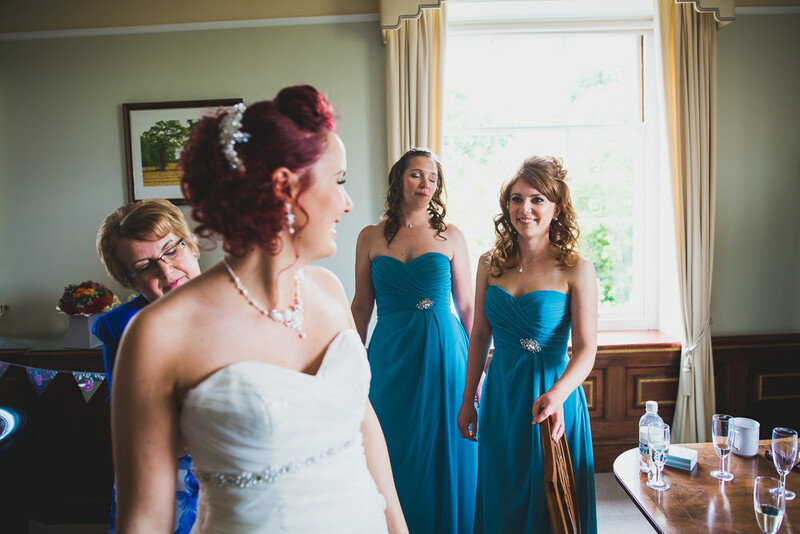 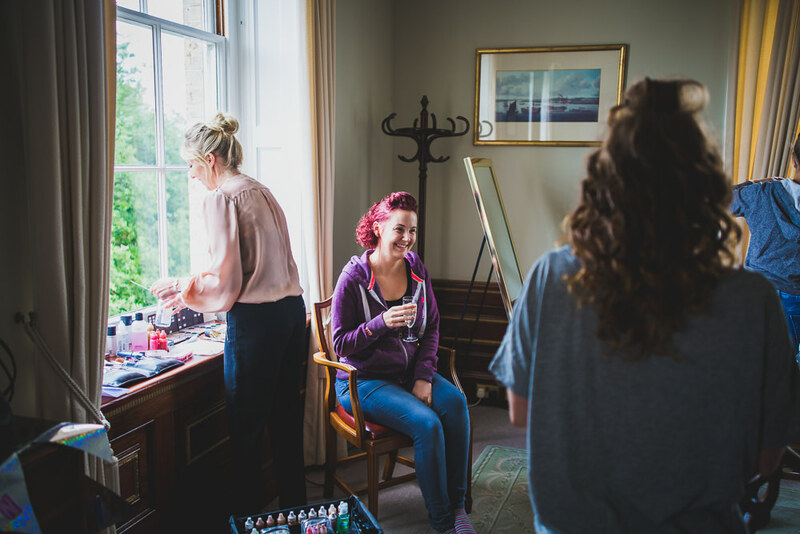 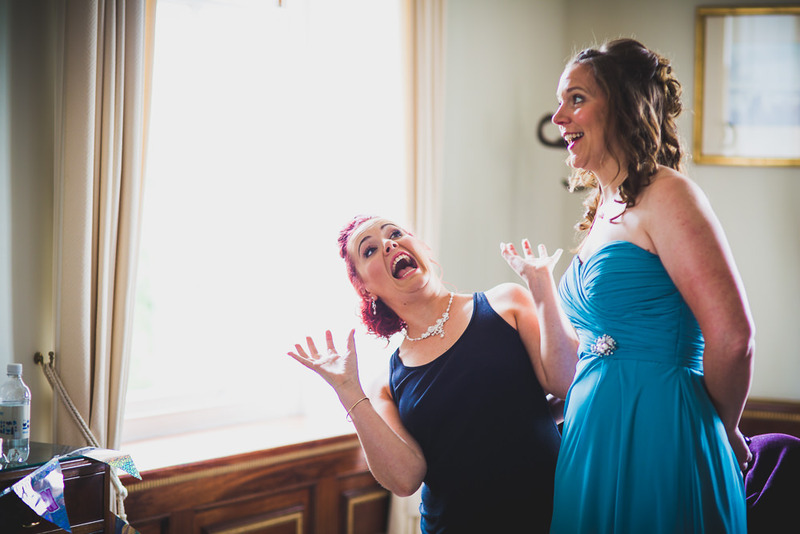 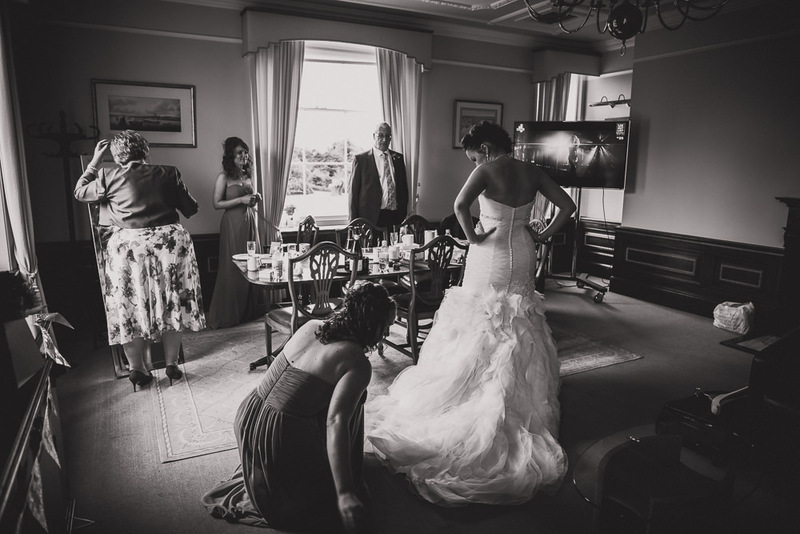 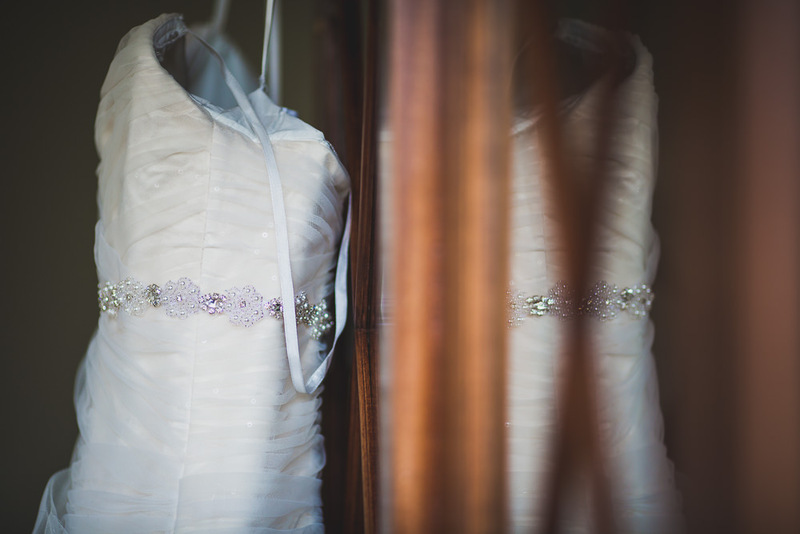 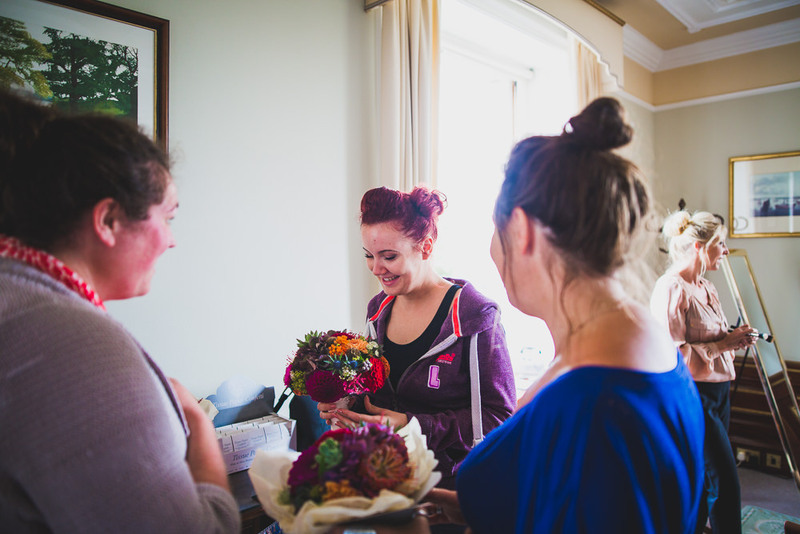 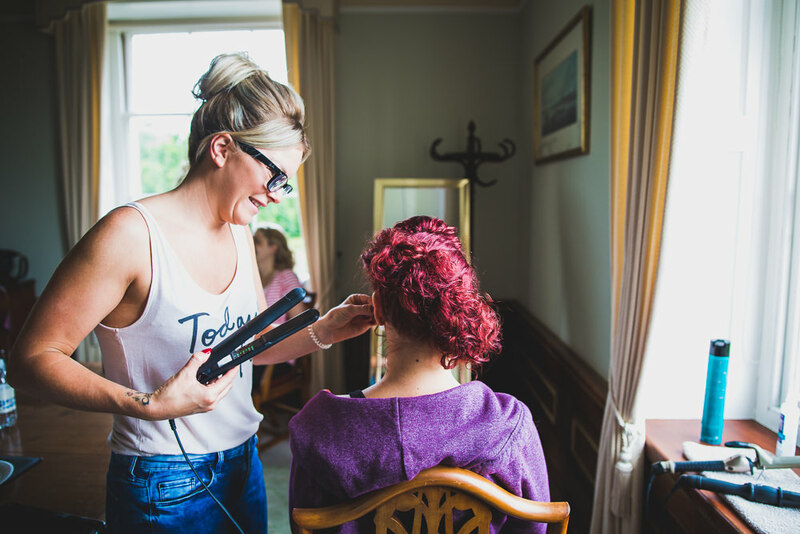 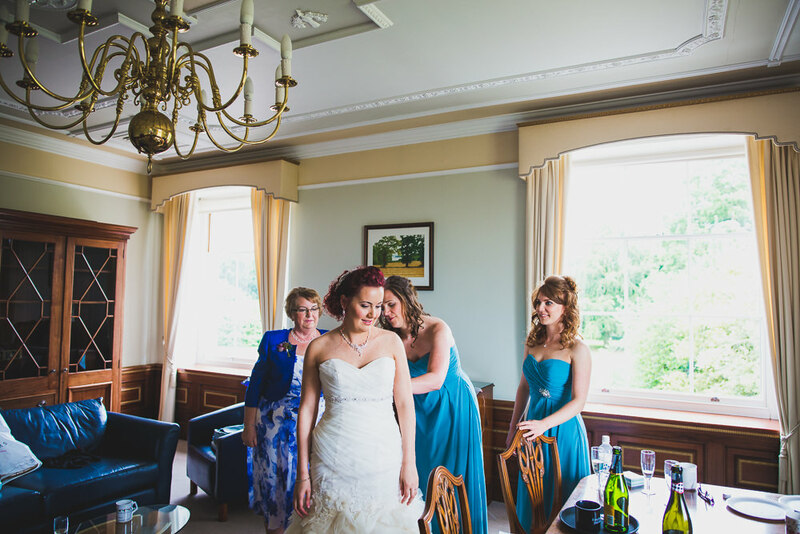 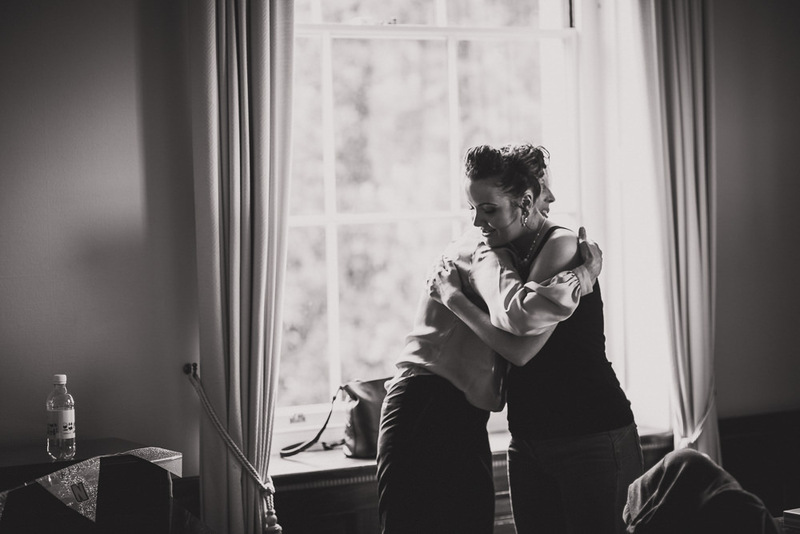 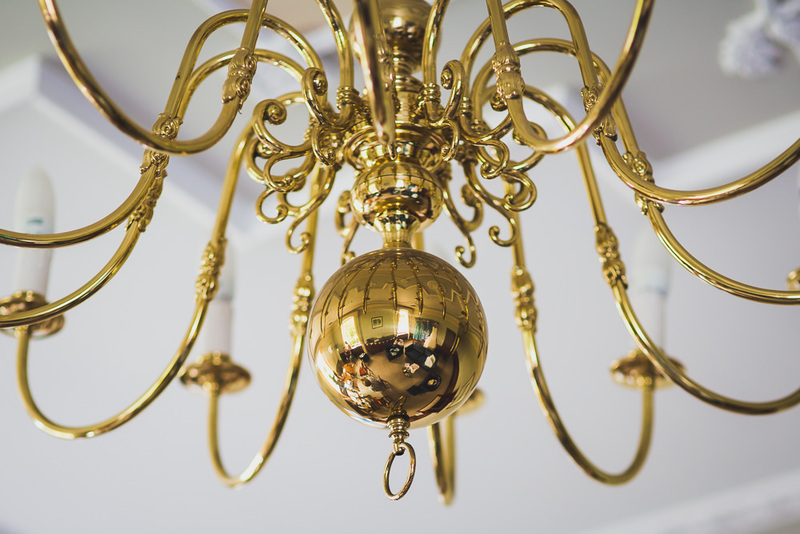 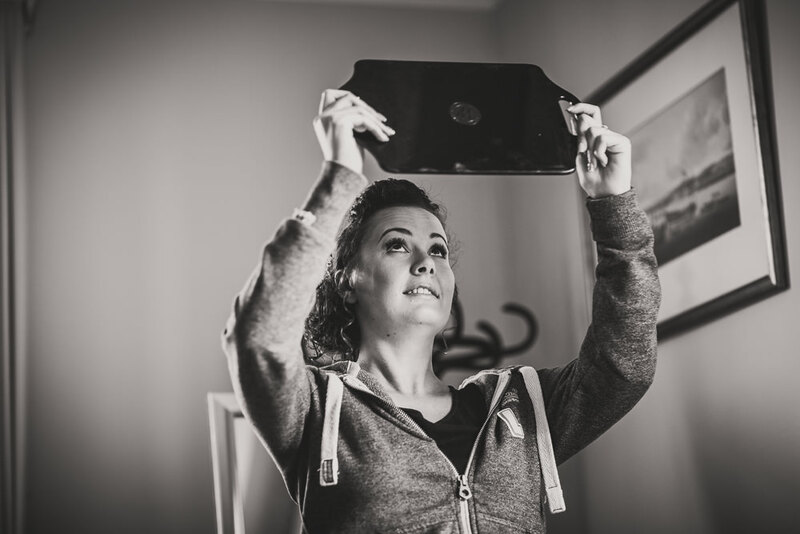 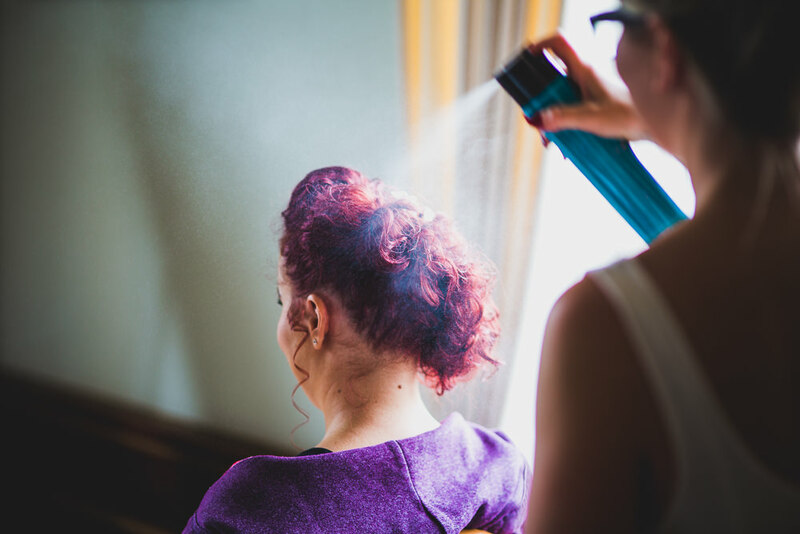 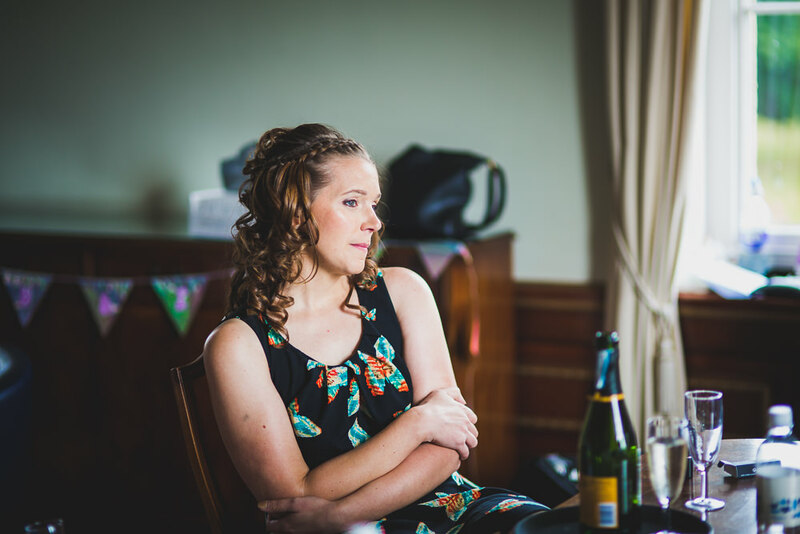 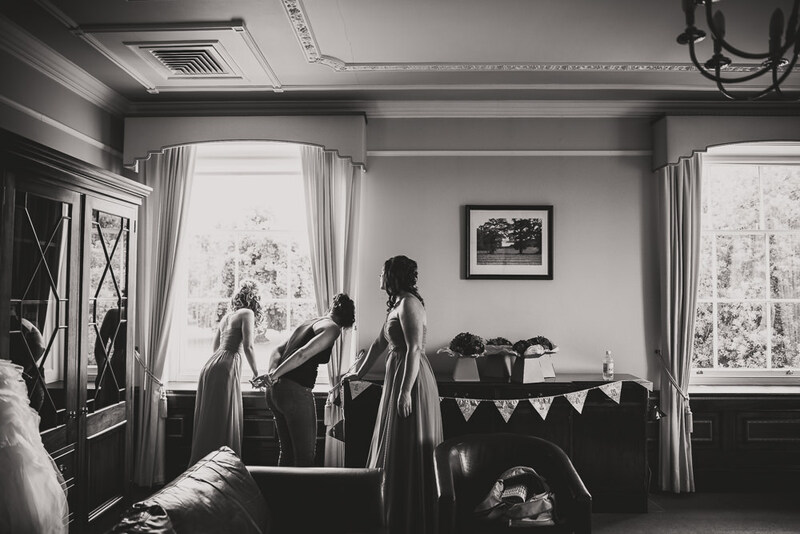 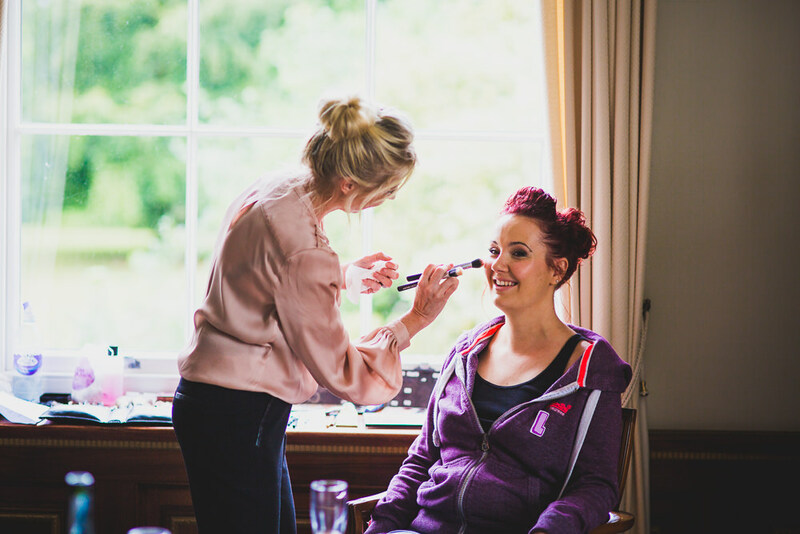 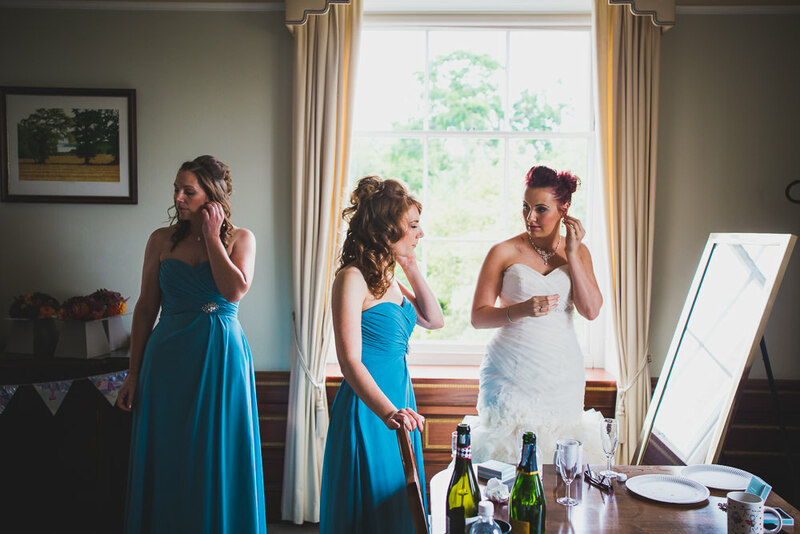 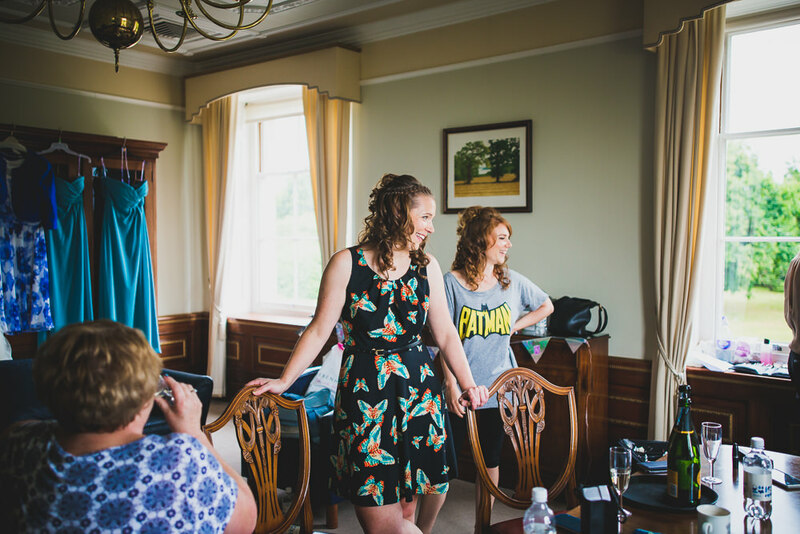 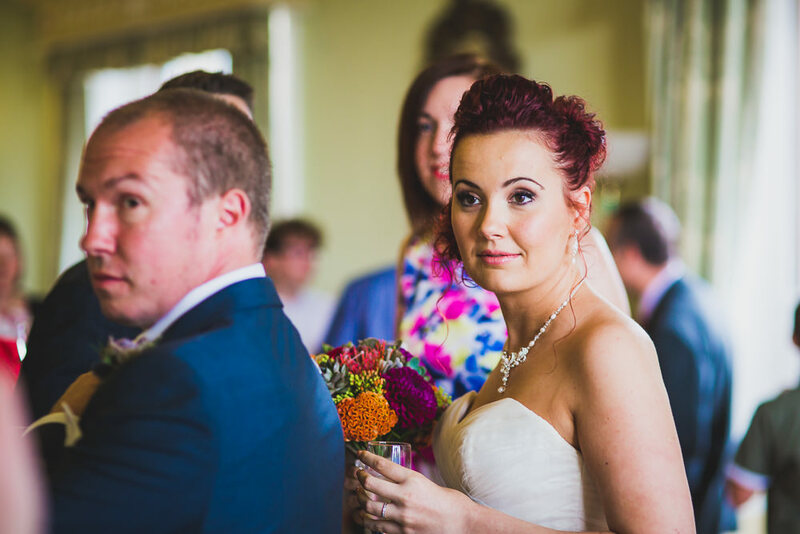 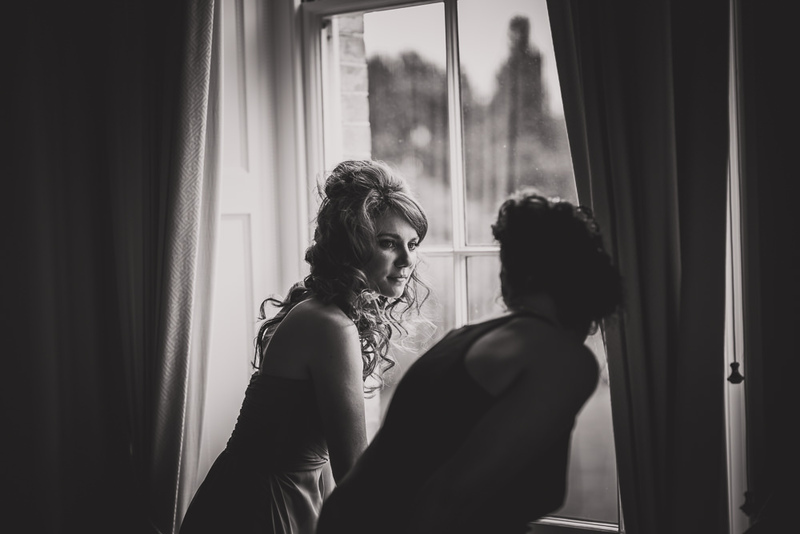 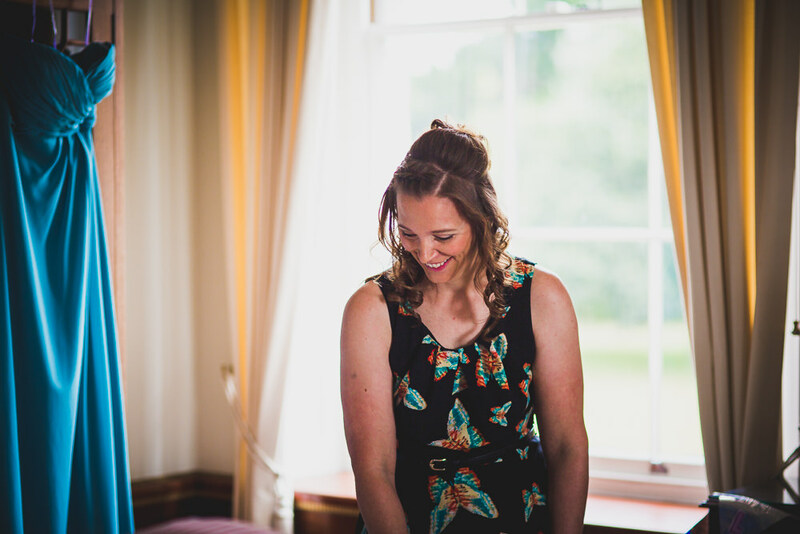 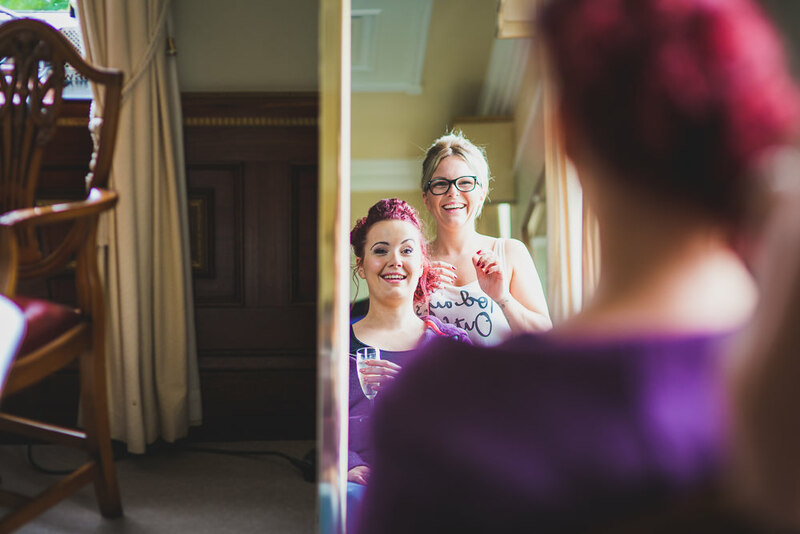 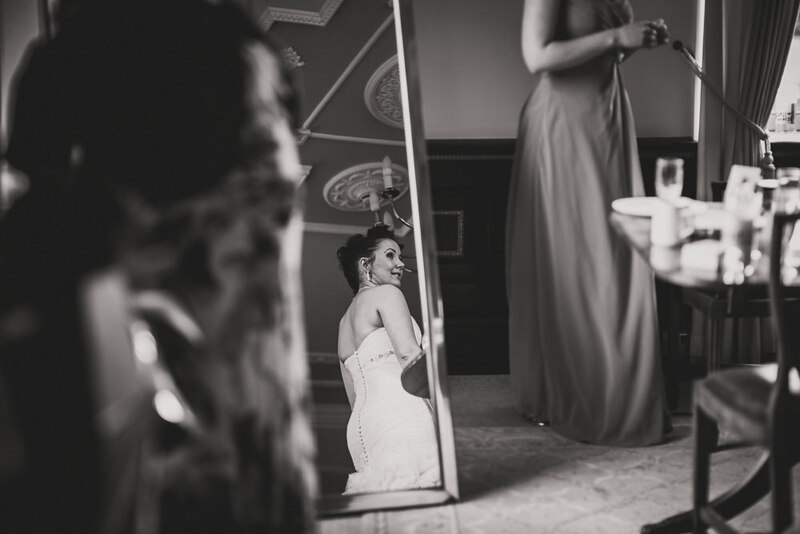 Lucy got ready in the morning upstairs at Wherstead Park in one of the beautiful grand bedrooms, giving her and her bridesmaids a birds eye view of all her friends and family arriving for the big day. 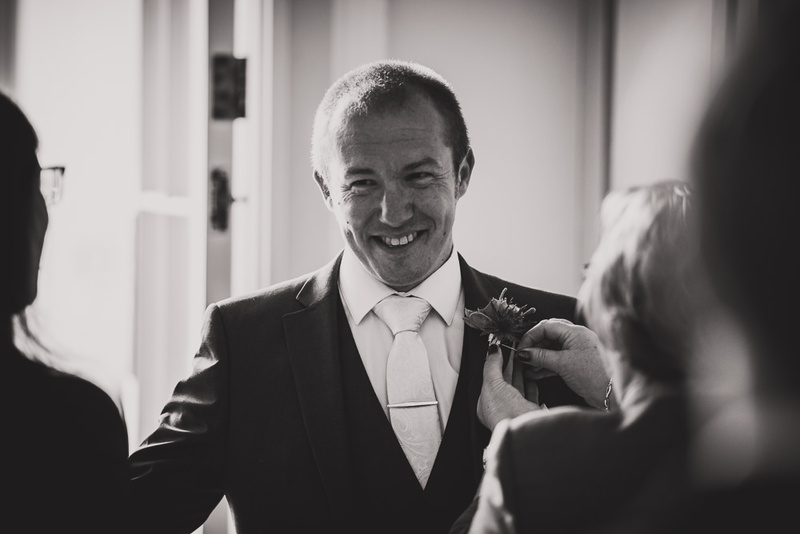 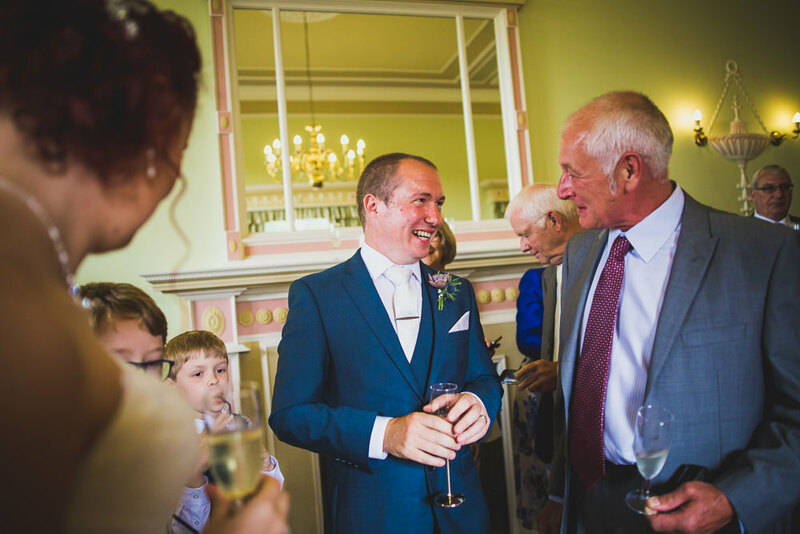 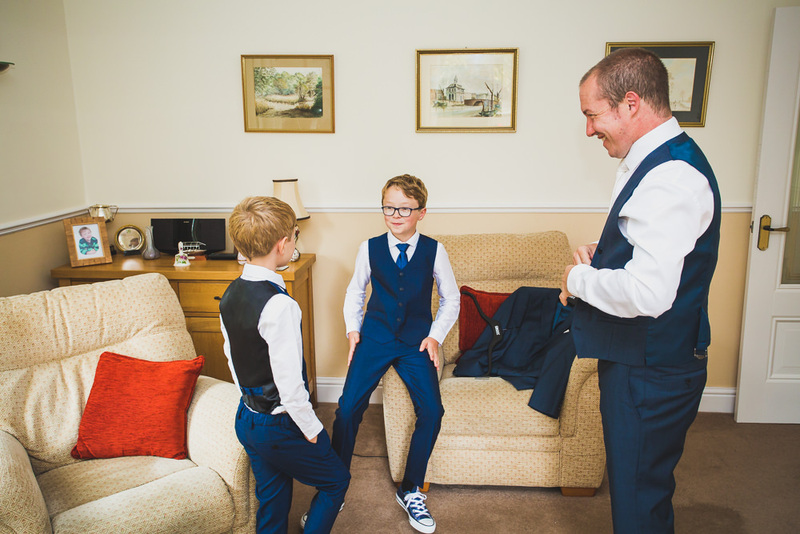 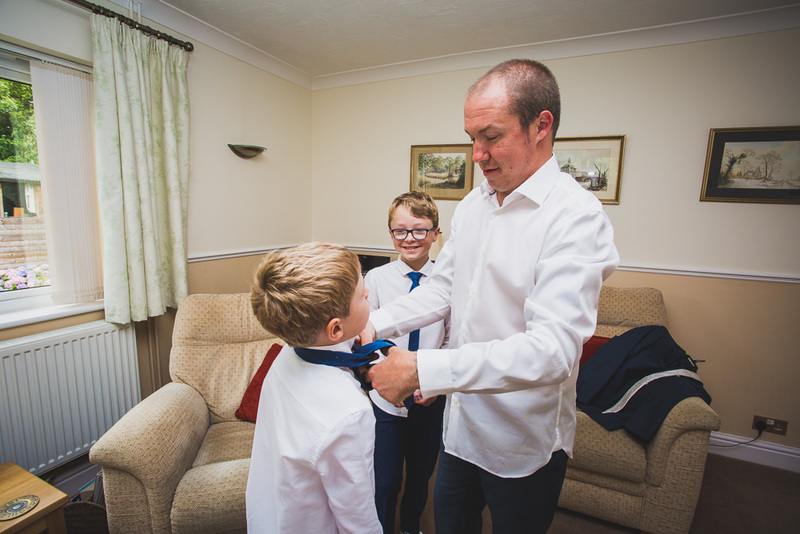 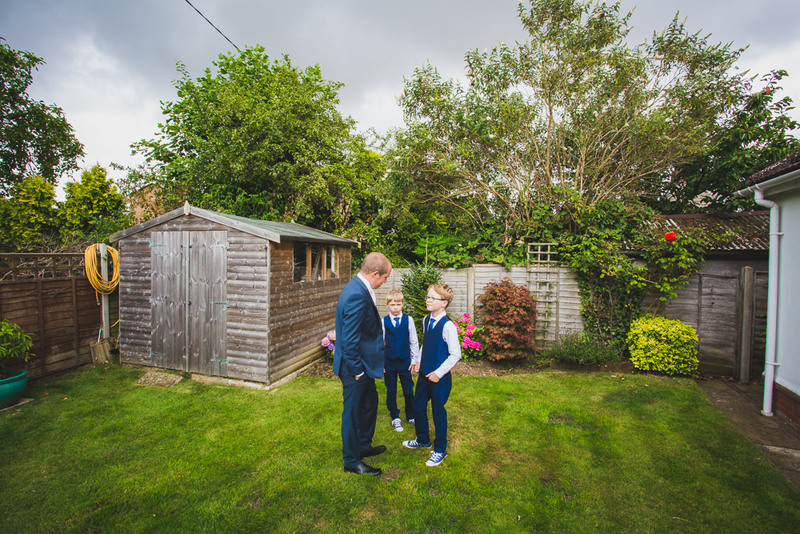 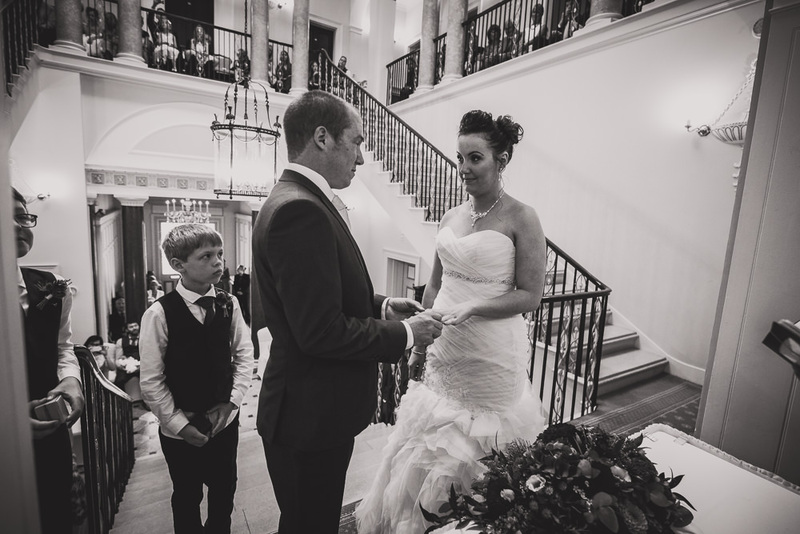 Ian prepared himself with his two boys at home before waiting at the top of the stunning central stair case where the ceremony was to take place. 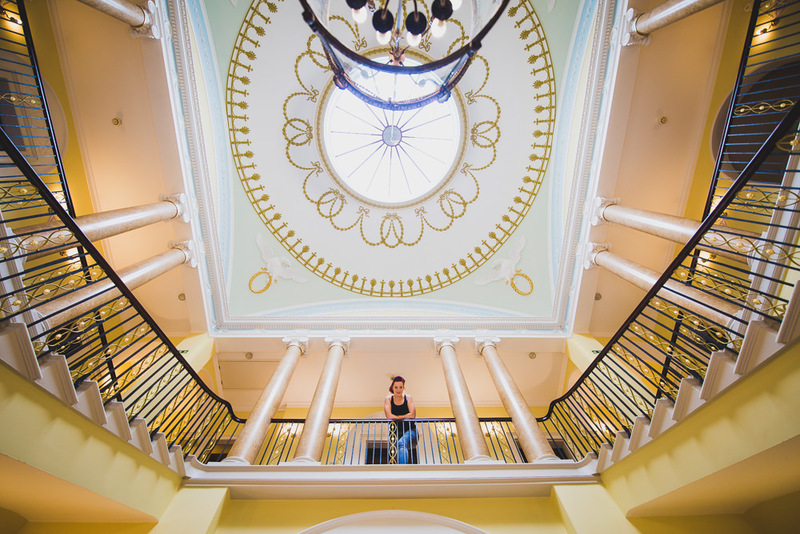 It was a first for me to shoot a wedding on such a staircase and it was a great opportunity to create something a bit different. 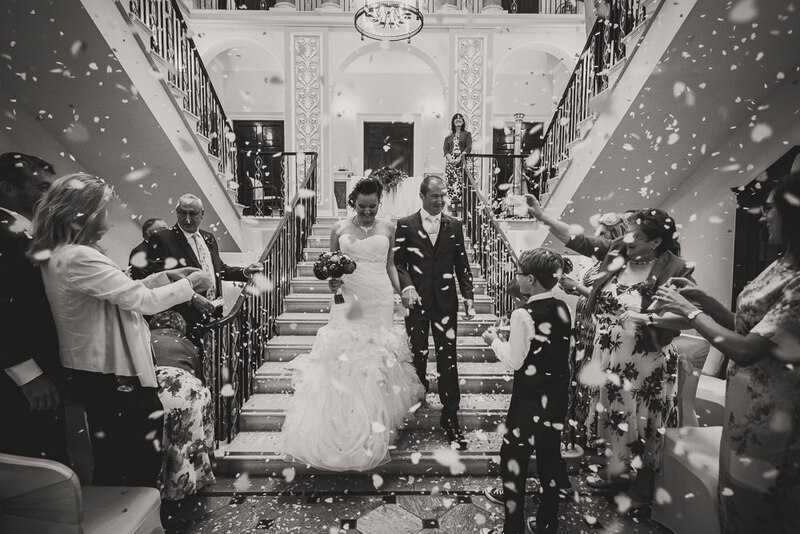 The venue were amazing when it came to confetti. 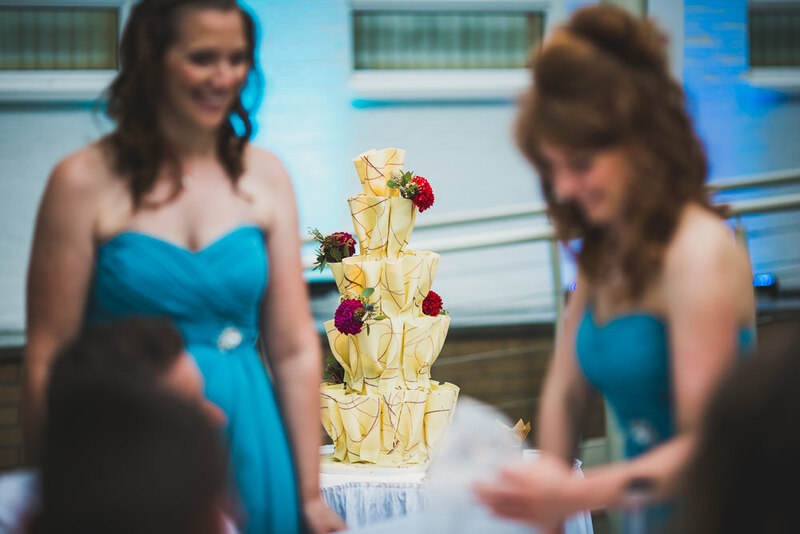 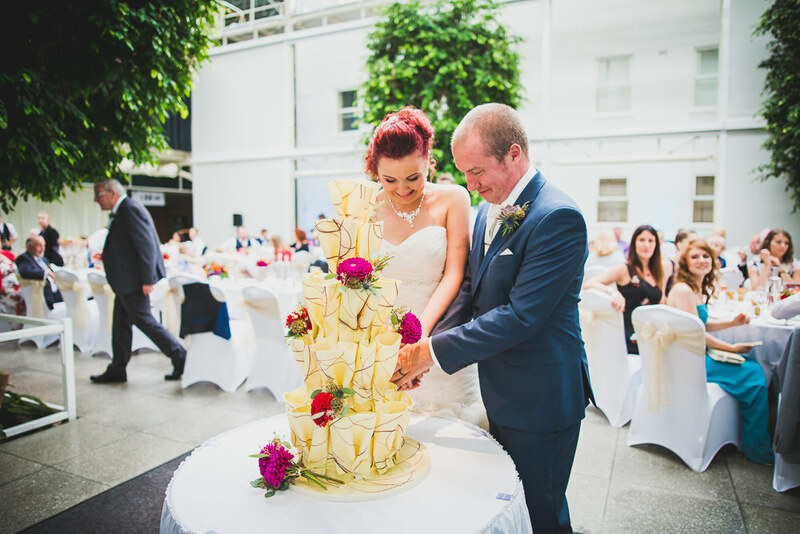 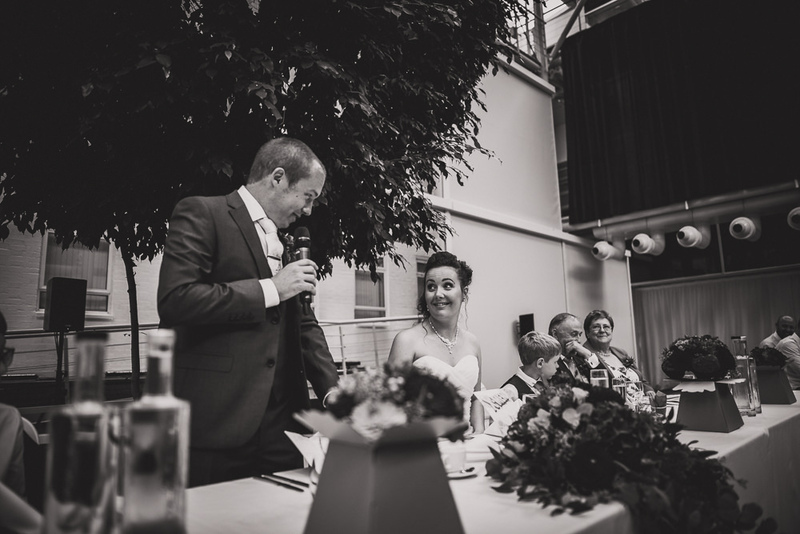 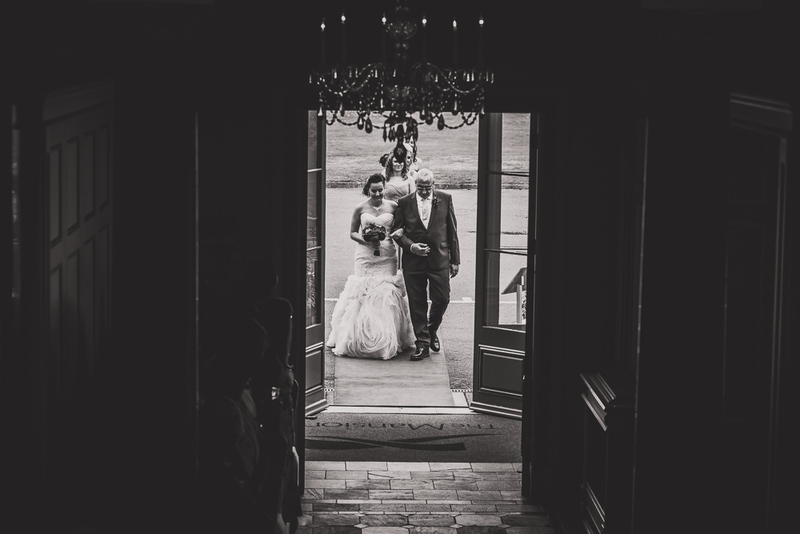 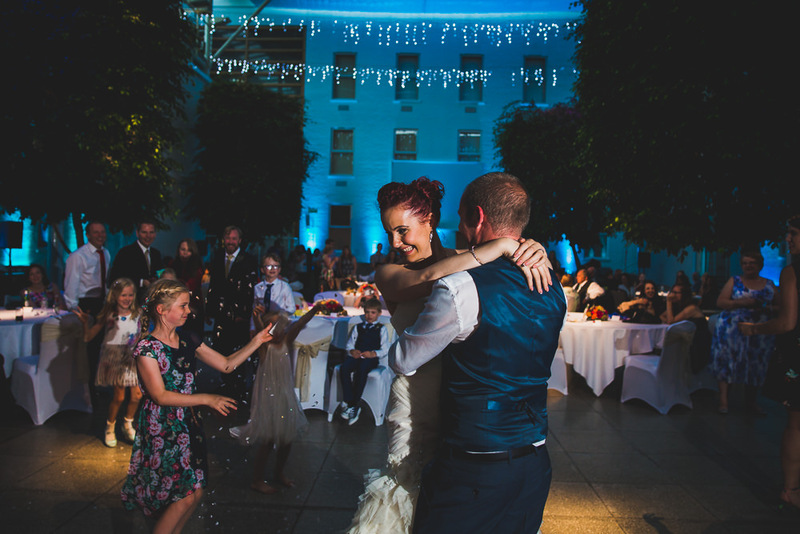 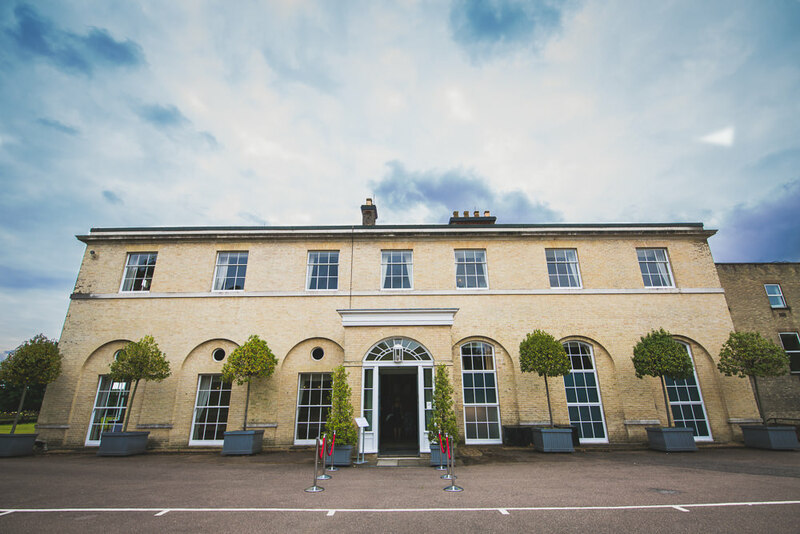 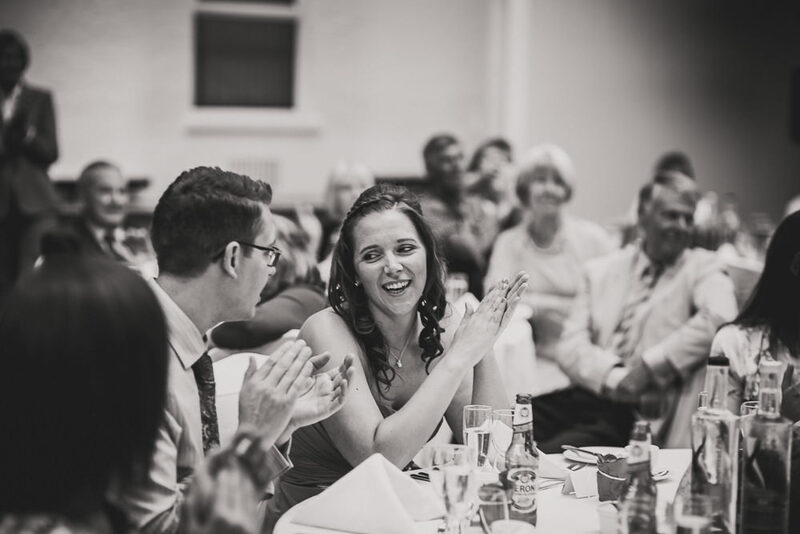 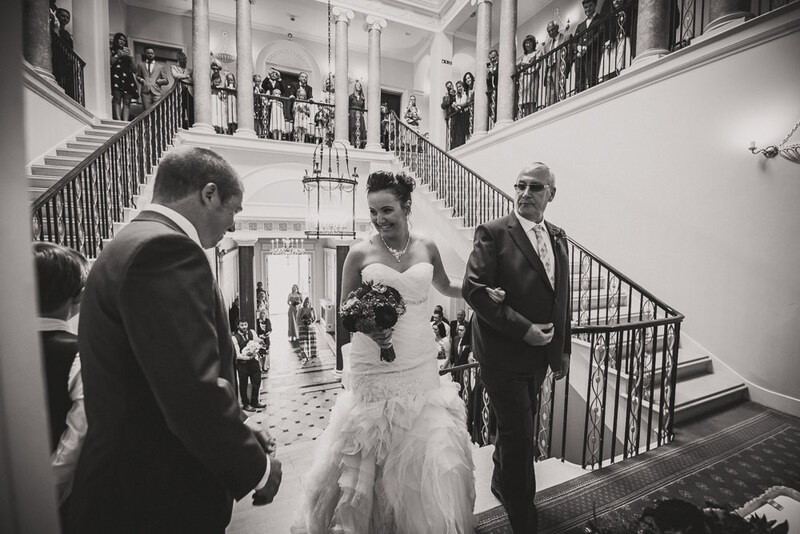 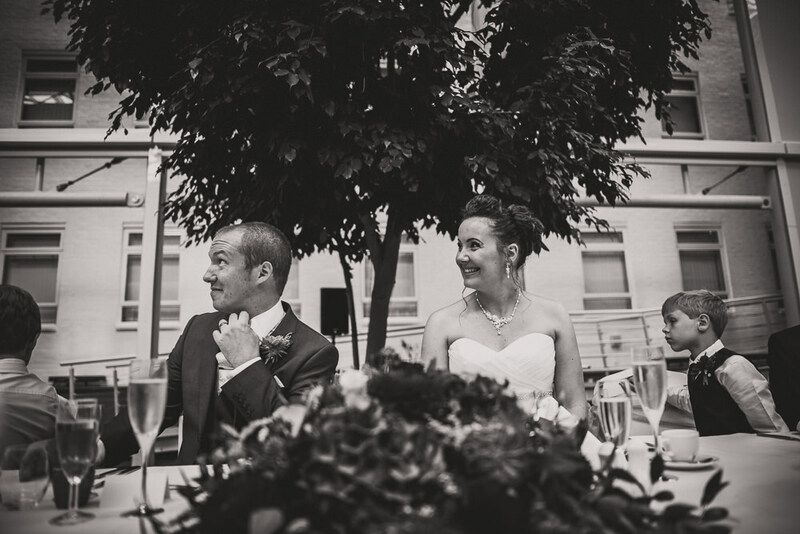 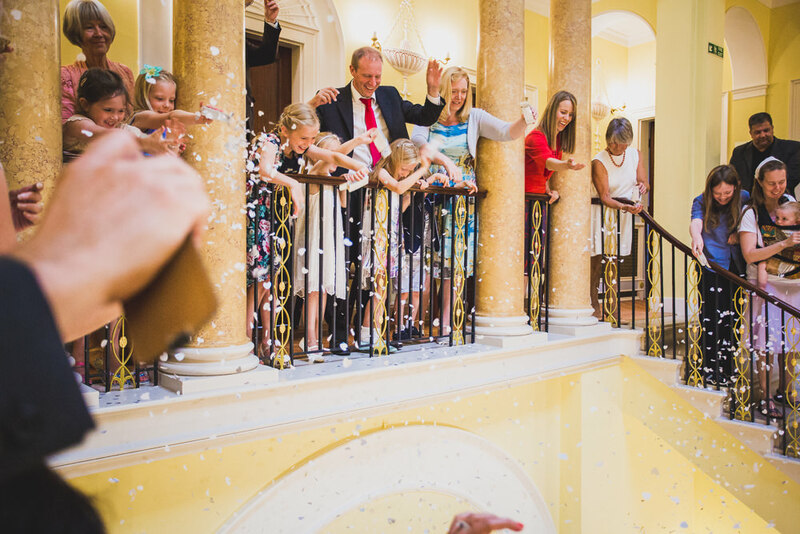 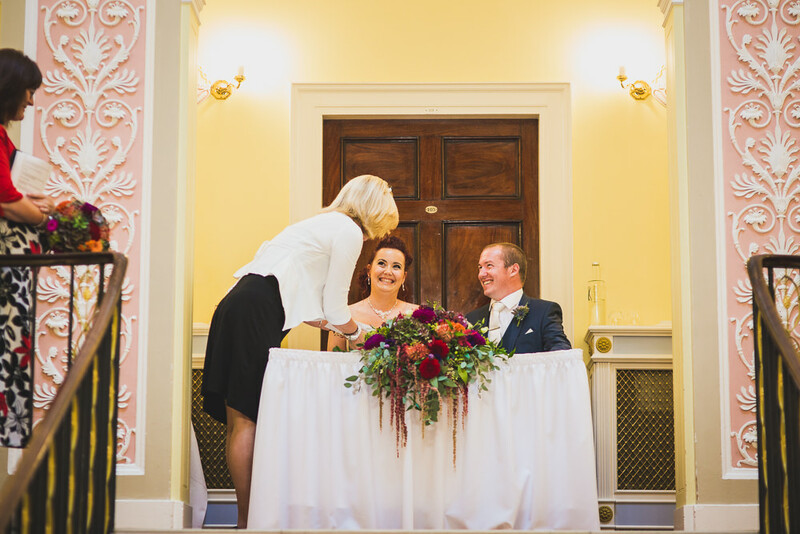 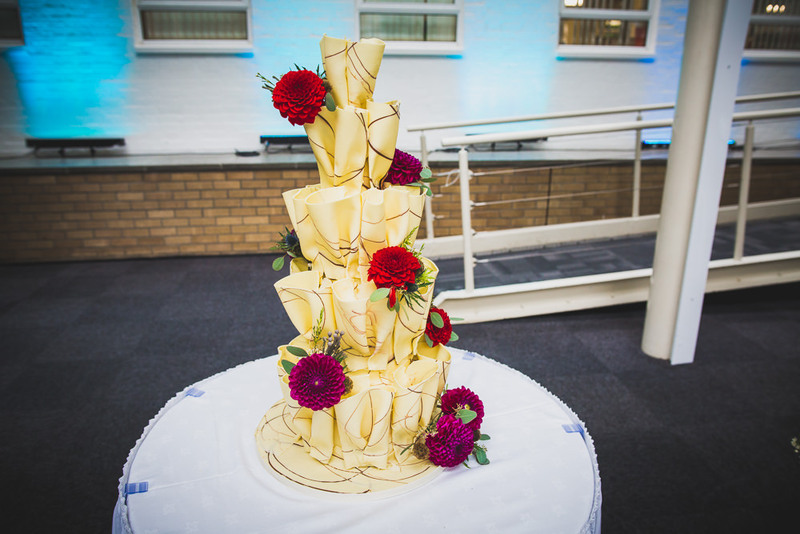 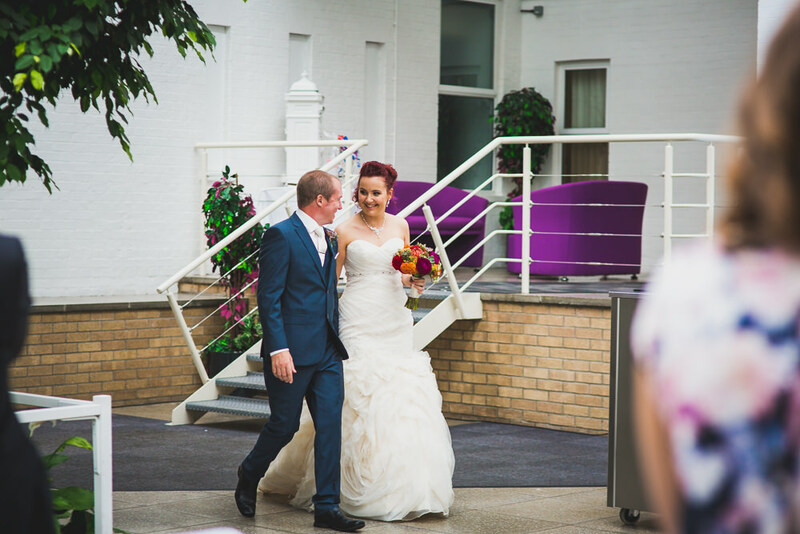 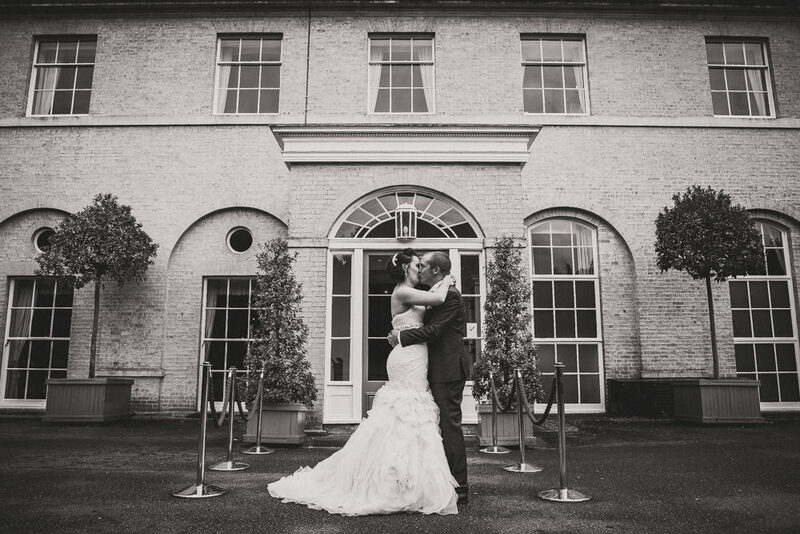 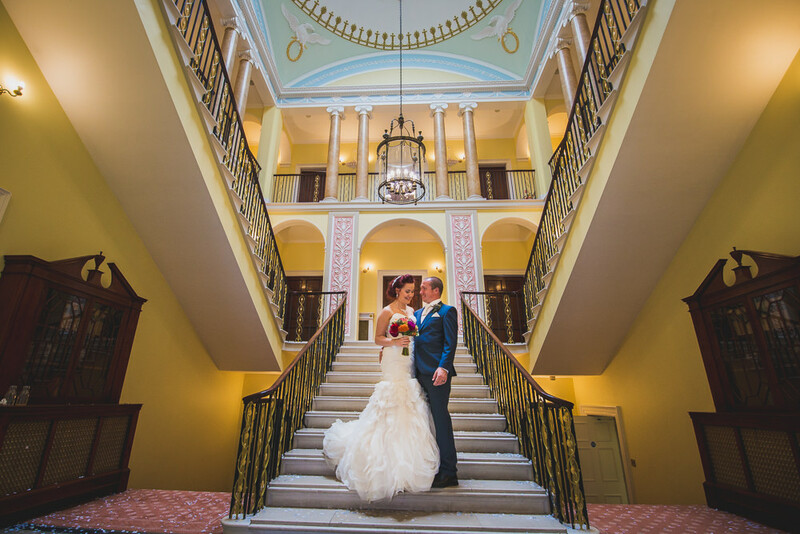 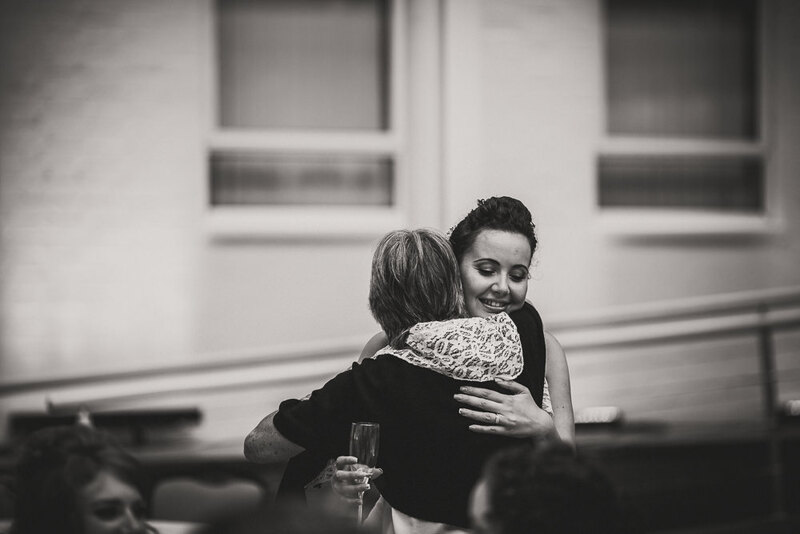 Most places have strict rules about confetti and make it take place outside, but Wherstead Park are more than happy to let their couples utilise the staircase and overhead balcony, to allow confetti to cascade down as the bride and groom proceed down the stairs and through the wall of falling confetti. 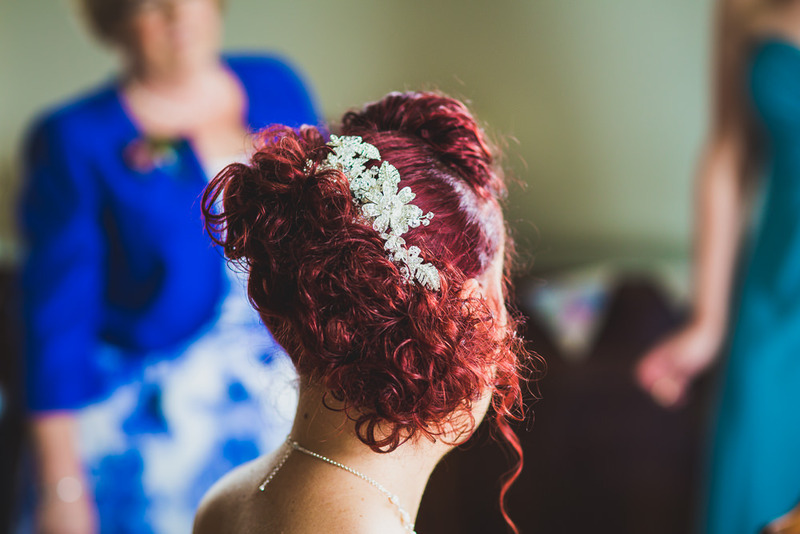 It was pretty magical to behold and great to photograph! 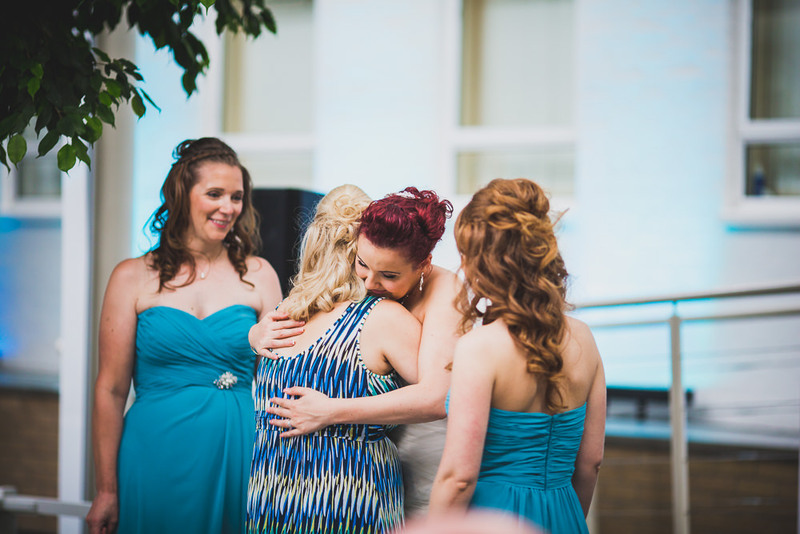 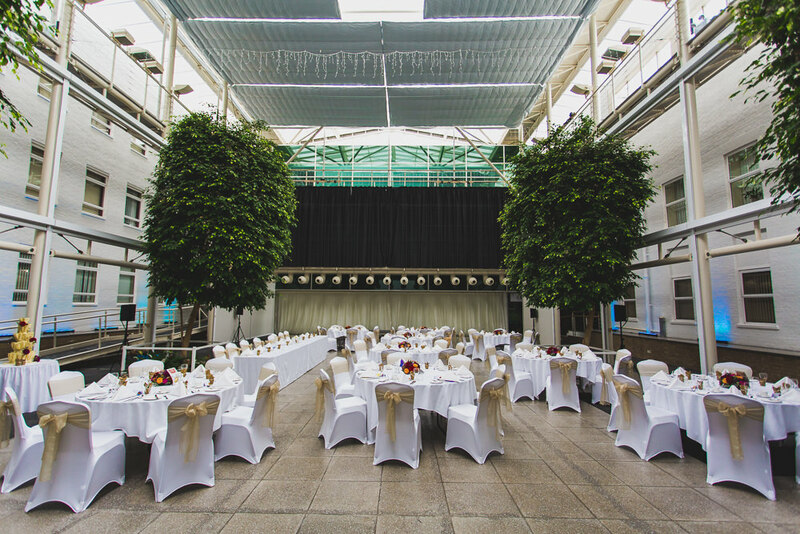 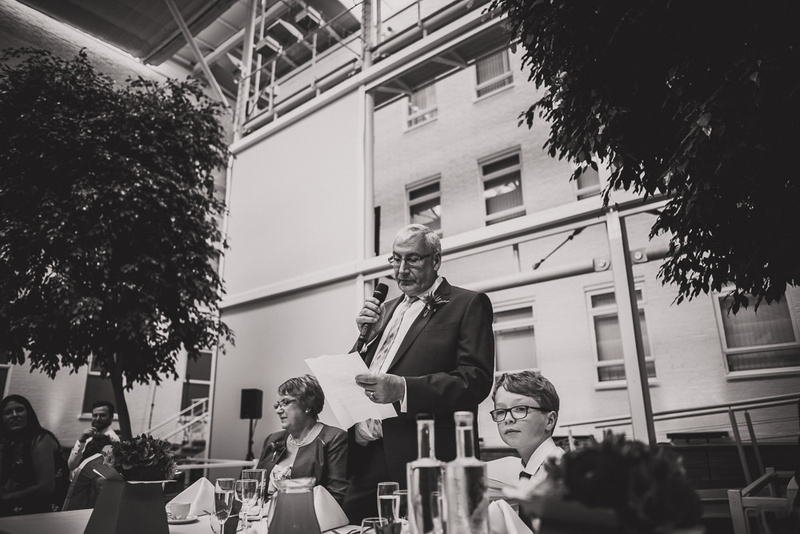 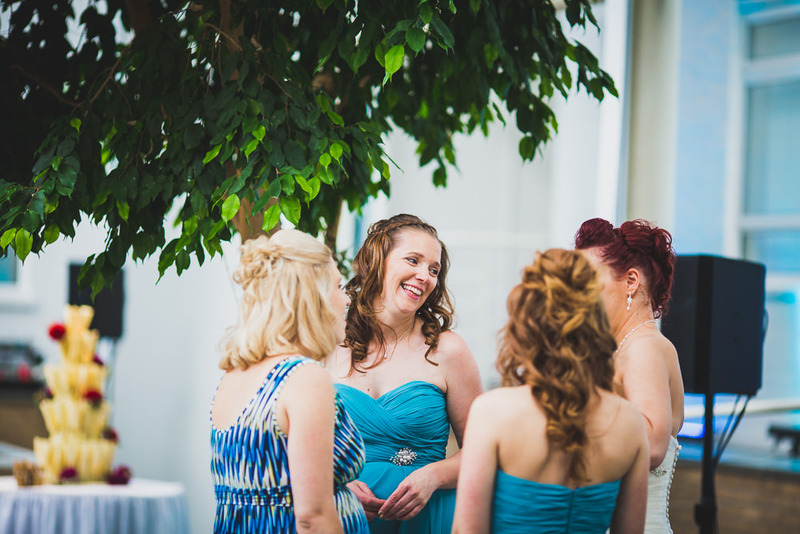 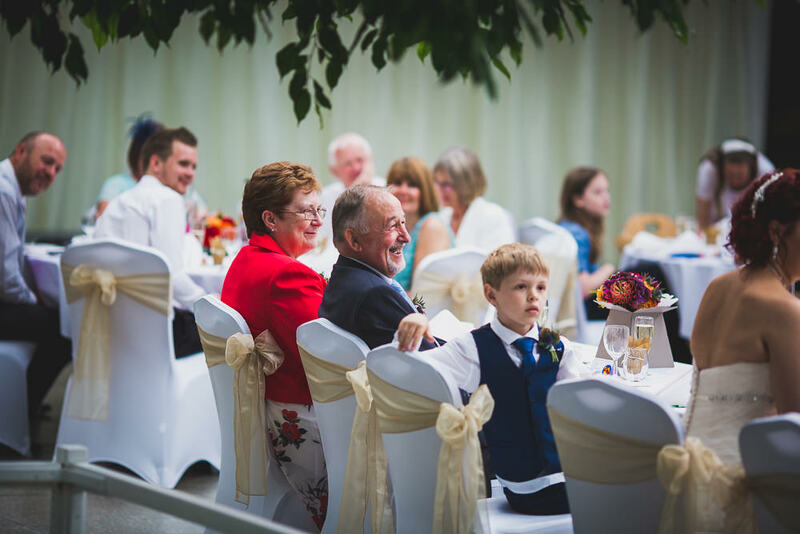 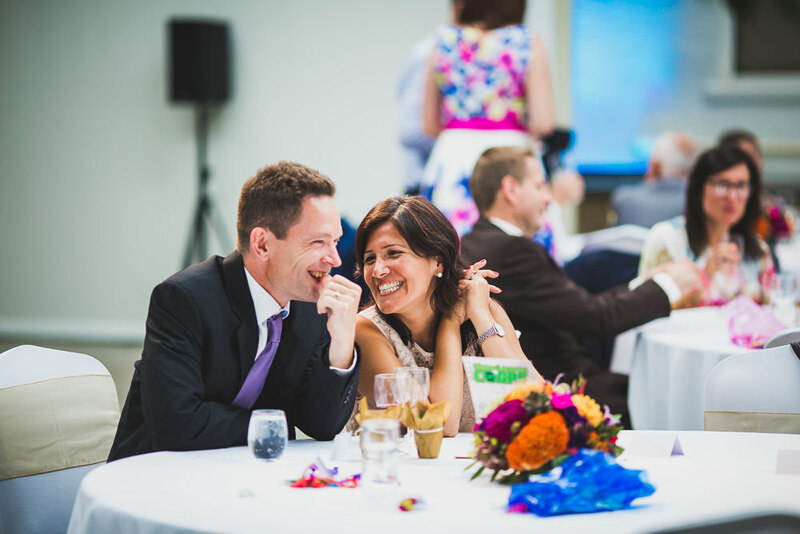 It was then into the large bright atrium for the wedding breakfast. 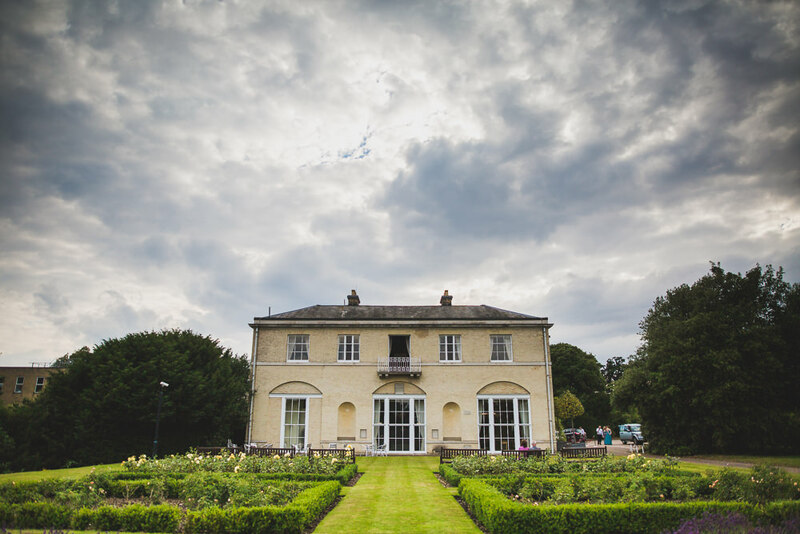 Again it was a pretty unique space for a wedding. 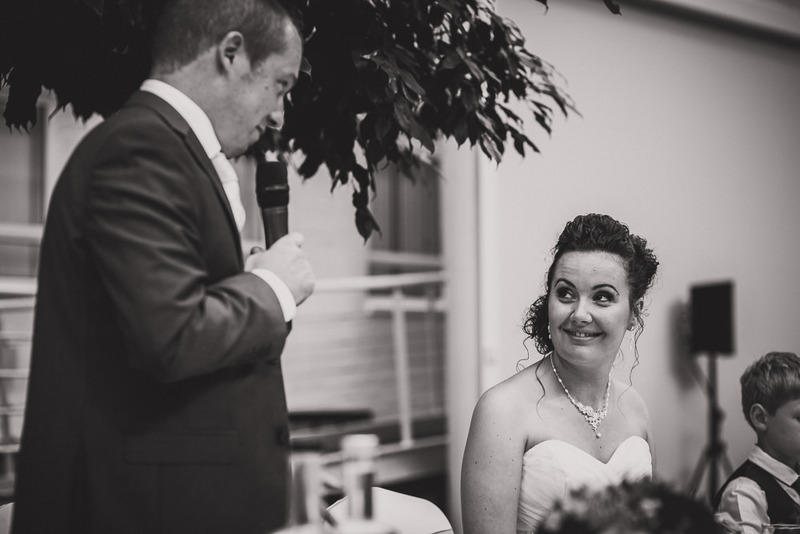 The couple chose to have a band in the evening (which I absolutely love, makes for the best parties). 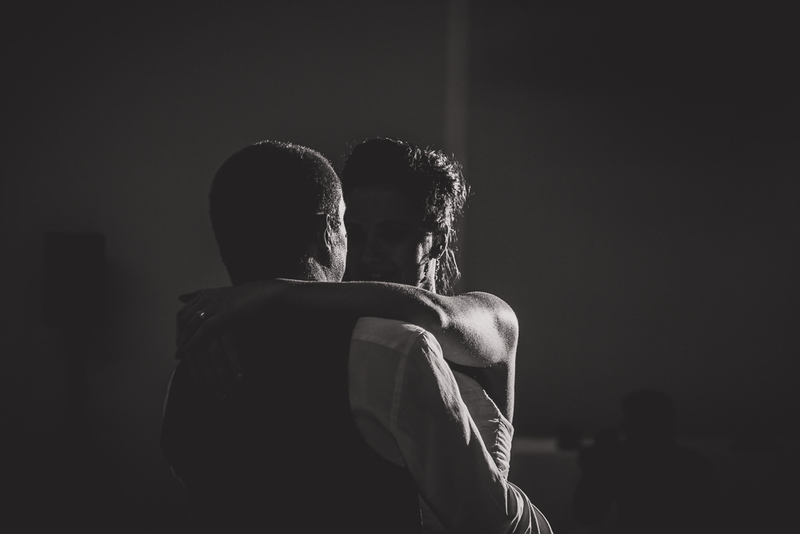 It was a quick slow dance as husband and wife to start things off before getting into the more serious business of partying the night away!